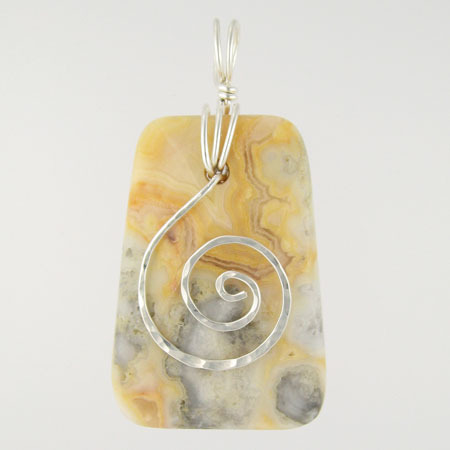 ​Agate is a member of the chalcedony branch of the quartz family. It is usually translucent or partially translucent and has clearly defined bands. It is composed of layers of microscopic fibers of crystalline quartz. Agate forms by filling a cavity in a host rock. As a result, it is often found as a round nodule with concentric bands like the rings of a tree trunk. It is one of the most common of gemstones and is available in a wide variety of colors both natural and dyed. Specific types or colors of agate are described separately. In general, agates are said to be grounding stones, bringing emotional, physical and intellectual balance. They are thought to build self-confidence, enhance mental functions and overcome negativity and bitterness. 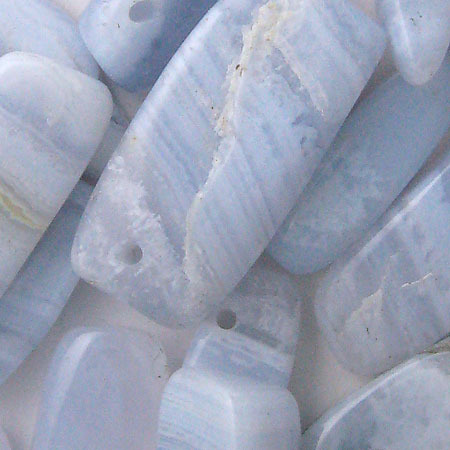 ​This agate has light blue bands in a wavy or lacy pattern. It is believed to be cooling and calming and bring peace of mind. It is also thought to neutralize anger, infection, inflammation and fever. 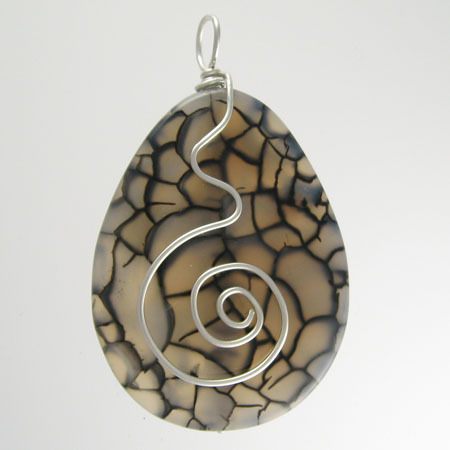 ​This agate has twisting and turning (crazy) bands of color. Naturally it can be in shades of yellow, pink, tan, and orange with gray. 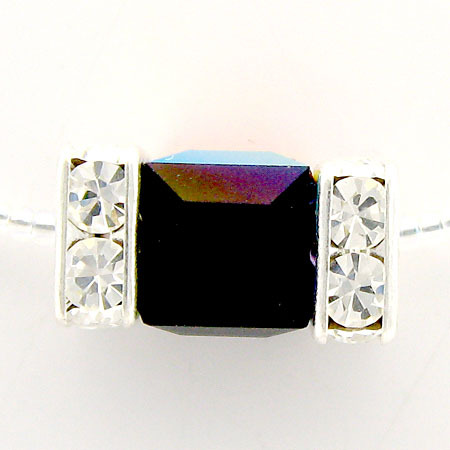 It is often dyed to achieve brilliant colors which emphasize the crazy bands in the stone. ​This stone has a crackled appearance that is created by applying heat. Some fired agate is translucent and seems to glow from within. It is usually dyed and can come in wonderful colors of aqua, orange, red and yellow as well as more subtle shades of gray, black and brown. Dense inclusions of green hornblende give this agate it its mossy appearance. It is thought to enhance the love of nature and to cleanse the soul and restore wit. Alkeme is a precision milled tin-based alloy developed by ImpressArt. The soft silver color is similar to sterling silver. The name Alkeme is a nod to the age-old alchemist who searched for ways to transmute base metals into precious silver and gold. Amber is fossilized tree resin (not sap) from ancient pine trees. Amber starts as a soft sticky substance, changing first to copal before it fully fossilizes. During this process plant or animal matter (bugs) may become trapped in the resin. The rarity or perfection of these inclusions increases the value of amber. Amber comes in colors from dark brown to pale yellow. There is also a red variety called “cherry” amber from the area around the Baltic Sea. 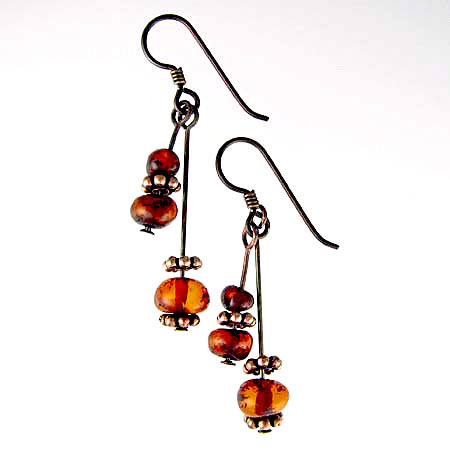 Amber is said to symbolize courage and bring success. Amethyst is a variety of quartz ranging in color from pale lavender to deep purple. The word amethyst comes from the Greek “amethystos” meaning “without drunkenness.” It is believed to help prevent intoxication. Since the Middle Ages, bishops have worn rings set with amethyst to symbolize piety and celibacy. 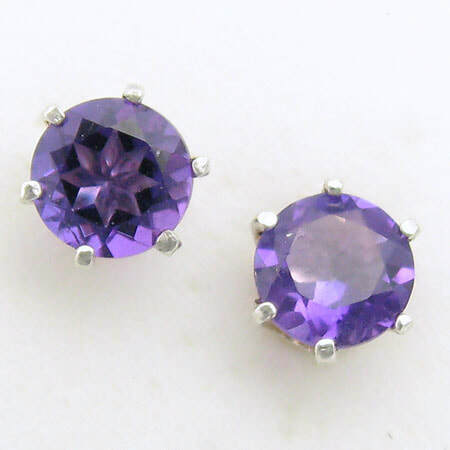 Amethyst is the traditional February birthstone. 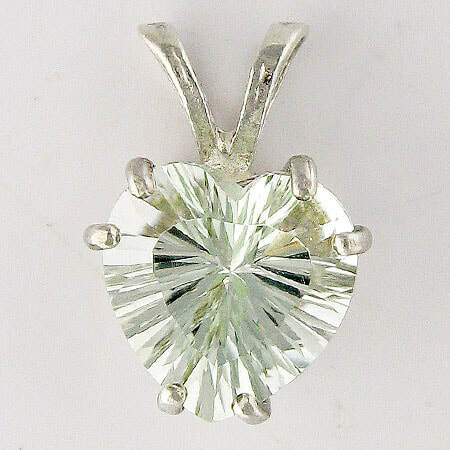 Green amethyst is most often referred to as praisiolite. The word prasiolite comes from the Greek for “leek-green stone” which reflects its beautiful green color. However, prasiolite is rarely found in nature. The majority of it in the marketplace is produced by heating specific varieties of quartz, amethyst or citrine, found only in Brazil and Arizona. 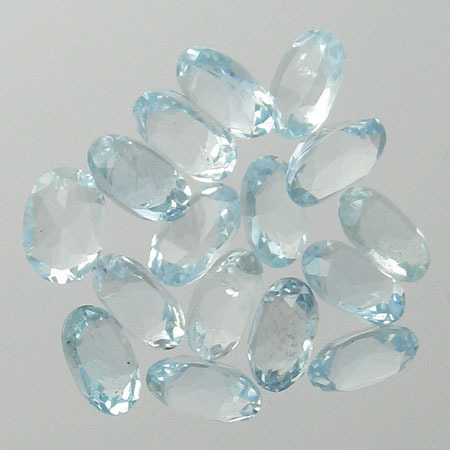 Aquamarine is the blue/green member of the beryl family. Other beryl family members include Emerald, Heliodor, and Morganite. The color of aquamarine can range from the palest pastel blue (as in the photo at right) to light green and all the blue-green combinations in between. Its name comes from the Latin words for “water of the sea.” Aquamarine is the birthstone for March and the stone for the zodiac sign Scorpio. It is durable gem perfect for everyday wear. According to legend, Neptune, King of the Sea, gave aquamarine as gifts to mermaids. As a result, it is said to bring love to all who own it. In the Thai culture, Aquamarine is believed to ward off seasickness and prevent wearers from drowning. Folklore also says it will protect against gossip. Some say a dream of aquamarine means you will meet a new friend. Aurora borealis (AB) is the name given to a finish coated added to glass and crystal beads. Beads with an AB finish have extra sparkle and display an iridescent rainbow of colors. The finish takes its name from the natural phenomena of dazzling lights in the sky - also known as the northern lights. The AB finish was developed in the 1950's by Swarovski and fashion designer Christian Dior. ​Because it is a finish applied to beads, it can be scratched and may wear off after prolonged use. Azurite is soft, deep blue mineral formed in copper deposits deep in the earth. In some locations, azurite undergoes a chemical change and turns into malachite its chemical twin. In fact, these stones are often found together with one seamlessly transitioning to the other. Azurite was crushed and used as a dye for paints and fabrics. The process began in Egypt around 2575 B.C., but didn't become common until the Middle Ages. During the Renaissance, azurite was the most important pigment in European painting. It was eventually abandoned, as people realized certain environments turned the azurite into malachite and horrified artists saw their masterpiece blue skies and seas turn green. Azurite has long been known as a "stone of heaven" and was used in many ancient cultures to help contact divine consciousness. Native Americans considered it a sacred aid to journeys with their spirit guides. Azurite is thought to bring about clear understanding, expand the mind, and stimulate memory. It is believed to clear stress, worry and sadness. Care: Wipe with a soft, damp cloth to clean. Do not immerse in water; you could dull its finish. Never use steamers or ultra-sonic cleaners. Warning: Azurite dust is mildly toxic.